This Katzbalger is made after several originals from 1520. 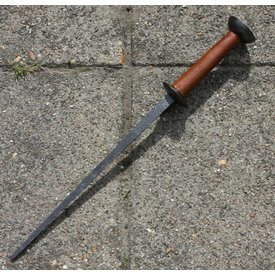 Short swords like this were mainly carried by the German Landsknechten. The length of this Katzbalger is 80 cm with a blade of 65,5 cm and a cross-guard of 14 x 12,5 cm. It has a typical South German grip. 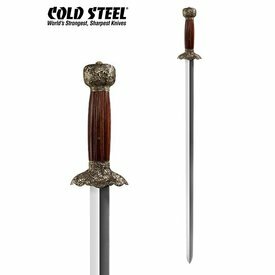 This sword is an Oakeshott type XXI. Suitable for re-enactment and martial arts. 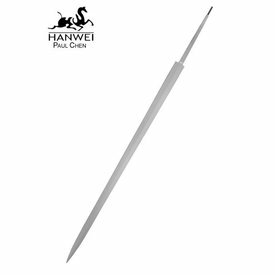 The razor sharp version is suitable for cutting tests. The blade is handmade and tempered, using traditional forging techniques.